Neteller is highly regarded as a convenient, flexible and safe online payment processor, which allows players to transfer funds to and from their online casino accounts in a time-efficient manner. The company was created in 1999 in Canada but several years after, it moved its headquarters to the Isle of Man. Today, Neteller is accepted at a staggering number of reliable gambling websites, some of which are considered to be the crème of the crop of the industry. The company has greatly expanded reaching millions of players from over 200 countries allowing them to deposit and withdraw funds in a total of 26 currencies. Neteller functions as a standard e-wallet and is especially popular among casino players as it gives them the chance to process instant, secure and hassle-free transactions to and from their casino accounts. To use the service, players simply need to visit the official website of the payment processor, create a Neteller account, and then top it up. 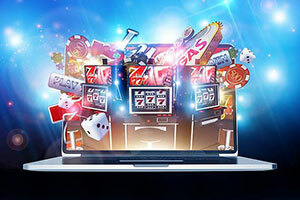 Once they do that, gambling enthusiasts will be able to deposit funds or withdraw their winnings in their currency of choice as the online payment system supports a vast range of currencies, including widespread GBP, USD, CAD, and EUR. As mentioned above, one is required to register with a Neteller account in order to use the popular e-wallet. Registration is quite simplified and requires minutes to complete. Players who wish to use this payment method will need to fill in the registration form and provide some basic personal information, such as their names, birth dates, addresses and current telephone numbers. They also need to choose a currency in the process. Providing a valid e-mail address is essential, too. Registering an account is free of charge. When registration is complete, you will get a Neteller ID and a Secure ID. To top up the Neteller account, one can connect it to their bank account, credit/debit card, or transfer funds using another payment processor. Deposits with this e-wallet are carried out instantly. Please note, you are required to verify your Neteller account if you wish to process withdrawals from online casinos using this payment method. Verification will also grant players access to higher limits and other deposit options. To complete their accounts’ verification, players are expected to send a readable scan or image of their IDs or another document to prove their permanent address. There is the option to apply for a plastic or a virtual Net+ Prepaid Mastercard. The Net+ Prepaid Mastercard grants players instant access to the funds in their Neteller accounts and can be used for online casino deposits. By purchasing the card, players are also enabled to withdraw their winnings at the nearest ATM that supports Mastercard. The card is available in a total of 8 currencies – GBP, EUR, USD, CAD, AUD, SEK, JPY and DKK. The Net+ Card is typically mailed out within 21 days after Neteller receives your application and needs to be activated by visiting Neteller’s website and entering the card’s number in the designated field. Have in mind a shipping fee of £8 is applicable. The perks of joining Neteller’s VIP program include lower monthly fees for deposits and withdrawals and higher limits on all transactions, including an increased daily ATM cash withdrawal limit. The increased deposit and withdrawal limits, in particular, work to the advantage of high-rollers who like to place more substantial wagers. 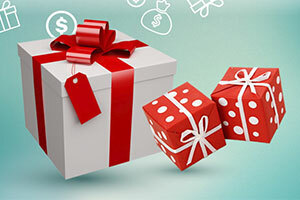 Additionally, players who join Neteller’s five-tier VIP program will be able to collect loyalty reward points when they make transactions and then redeem them for cash, which to a great extent resembles online casino operators’ comp point programs. What’s so great about Neteller is that it is accepted as a deposit method by an impressive number of legitimate and well-known online casinos. Players opt for using this payment solution because it is exceptionally secure and allows for instant processing of their deposits. 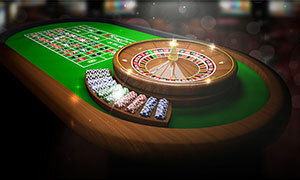 To top up your casino balance via Neteller, you simply need to log into your casino account and visit the Cashier or Banking section, where you are guaranteed to see the e-wallet, listed among the available payment options. Then, you are required to select Neteller as your preferred deposit method, enter your Neteller password and ID, specify the amount you want to deposit, and confirm the transaction. 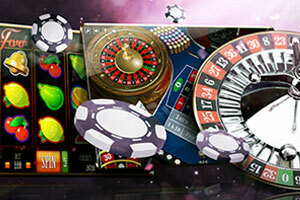 You will be able to play for real-money right away as deposits via Neteller are processed immediately. Unlike some other payment solutions, Neteller can be used by players as a means to withdraw their winnings from their online casino of choice. The procedure closely resembles that of depositing money via Neteller – players are again expected to visit the casino’s Cashier, select Neteller as their withdrawal method, input the amount they wish to cash out and confirm the withdrawal. Two things need to be taken into account. First, players should have verified their Neteller accounts in order to process a withdrawal. Second, unlike deposits, withdrawals are not processed instantly but require several business days to complete. Typically, online gambling providers do not charge their players for transferring funds to and from their casino accounts via Neteller. Of course, players are recommended to become better acquainted with the casino’s policy in regard to processing payments. 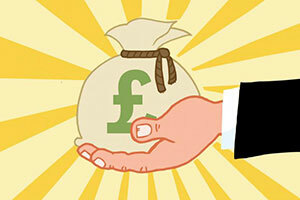 Players, who use Neteller are required to pay a top-up fee when loading funds into their Neteller accounts. The fees range between 1.5% and 7% depending on the method you use to top up the Neteller account. Those, who use the Net+ Card will have to pay a 1.75% withdrawal fee. Limits depend on the player’s country of residence and their Neteller account status. Withdrawals via the Net+ Card are limited to £1,950 per 24 hours. In addition, there is a currency exchange fee of 3.99% (and 1% for VIP members) of the converted sum. Neteller ranks as one of the safest payment methods to use when playing for real money at web-based casinos. Being authorised by the UK Financial Conduct Authority (FCA), Neteller keeps players’ accounts balance in trust accounts to ensure the money are always at their owners’ disposal. All transactions are heavily encoded with a 128-bit encryption to prevent identity thefts and misappropriation. When a transaction is carried out, the recipients only see players’ Neteller IDs so no sensitive financial information is disclosed to third parties. Using Neteller as a payment method at your favorite online casino comes with an impressive number of perks. Payments carried out via this e-wallet are secure and well encrypted to prevent fraudulent activities. 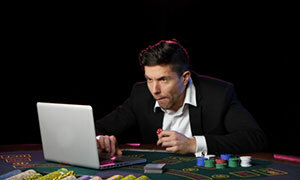 Gambling enthusiasts get to retain their anonymity when playing for real money as they use only their Neteller IDs when transferring their money. Last but not least, Neteller allows for quick and hassle-free transactions to and from players’ casino accounts. Casino players, who are looking for a fast, reliable and convenient payment solution, simply cannot go wrong by choosing Neteller. 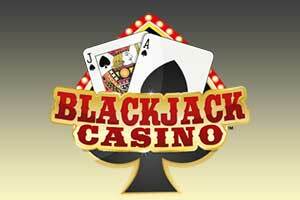 They will not experience any difficulties in finding a reputable and licensed online casino that works with this e-wallet, either. 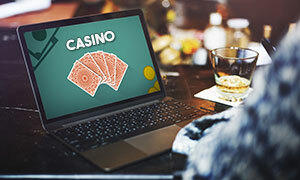 As Neteller is specialised in depositing to casino accounts, the majority of established web-based gambling providers list it among their banking options. I always use Neteller when I play for real money online because it guarantees fast payouts. 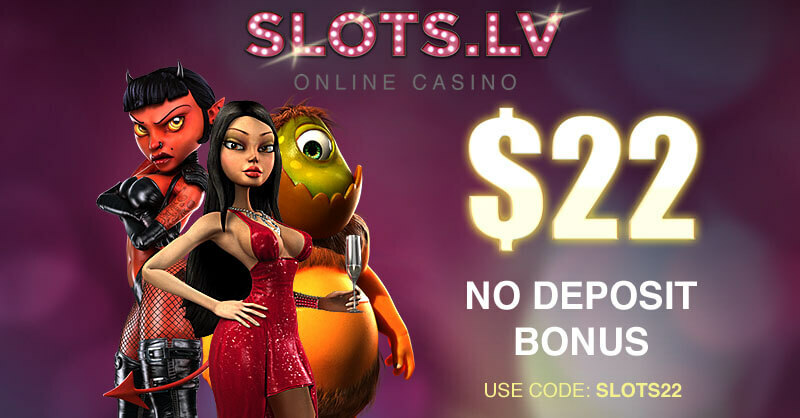 Not to mention that deposits into online casinos through this service are instant and you can start betting immediately. The only thing I can complain from is the customer support – several of my payments were processed very slowly and when I tried to contact the company, I couldn’t find a valid phone number. Then, I sent them an email, several emails, to be exact, and it took them two days to answer me. When I finally reached the support agents, they helped me, although I never found out the nature of the problem. I would strongly suggest that you first verify your Neteller account before you try to move money to a credit/debit card, to a bank account, or to another e-wallet. I used to deposit in online casinos with my credit card, but for more than a year, I’ve been using Neteller and I could say that it’s much faster and more convenient than cards. I prefer this electronic wallet because it’s accepted by all casino websites and usually, there are zero processing fees for both deposits and withdrawals. I fund my casino account in mere seconds and when I request a withdrawal, my money is usually transferred on the following day. However, the fees imposed by Neteller are not low – when I top up my e-wallet with my credit card, I pay a 4.95% fee per transaction and there’s another fee of £7 when I move my money via bank transfer. That’s why I prefer transferring larger amounts of money. Withdrawing £30, for instance, is almost pointless, as I actually receive £23. Neteller functions like a typical e-wallet and it’s probably one of the best options if you are looking for a fast method to top up your casino balance or to withdraw your winnings from it. As a gambler, who play at multiple online casinos, I often use this service, as it’s universally accepted and considered absolutely safe. For me, it’s much better than bank transfers, credit cards or online banking services, because it’s not only faster but it also fully protects your banking data. 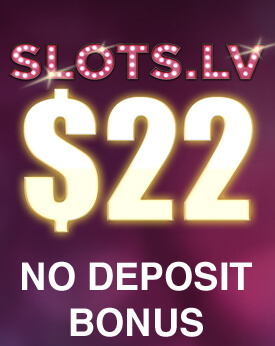 But before registering, I would advise every player to review the terms and conditions regarding bonuses and promotions offered by online casinos. 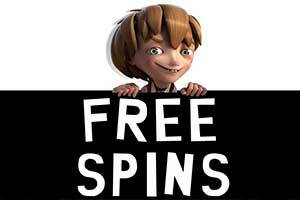 Most UK casinos, for example, won’t give you welcome and reload bonuses if you deposit via Neteller. I opened a Neteller account for only one reason – to be able to deposit and withdraw money quickly from online casinos. At first, everything was fantastic – I loaded my casino balance within seconds. But when I had to withdraw my money from Neteller to my card, it turned out my account had to be verified first. So, I was asked to send the company verification documents, which I did. It took them almost two weeks to verify everything and the customer support was responding the next day to my emails. Apart from the slow verification procedure, I’m actually very satisfied with Neteller. 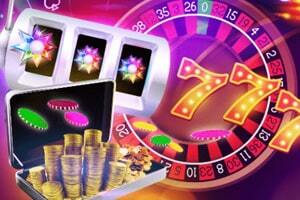 It’s perfect for online gambling, but also for shopping, as so many online merchants are now accepting it. And the fees are more than reasonable.